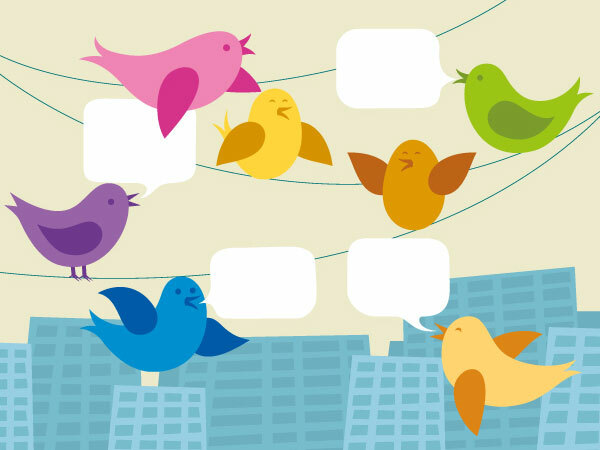 What is a Twitter Town Hall? Much like an in-person Town Hall meeting, Twitter Town Halls are the virtual equivalent of allowing your audience to come together, to ask questions of one or more experts, to read other people’s questions, and to ask follow-up questions. Just like in-person Town Halls, for them to go smoothly you’ll need to prepare, but the preparation is a bit different for this virtual medium. Should You Do a Twitter Town Hall? A Twitter Town Hall, like every other tool, has its pluses and minuses. Here are a few things to think about. Is your audience on Twitter? Anyone who has Internet access can view a Twitter Town Hall, but only those with Twitter accounts can ask questions and fully participate. This may be sufficient if you have a large enough Twitter audience or if you suspect your Twitter audience will be asking the same questions as those without an account. Do you expect a large variety of questions? If you do, Twitter is a great option for trying to easily answer as many questions as possible. Because of the 140 character limit, you can give short answers that refer people to Web pages and other online resources with more detailed information. Questions come in quickly but are easy to track, and that helps assure that you’ve given good customer service and answered everyone’s questions. Does your audience need to ask question anonymously? The questions aren’t anonymous unless a person is creating a Twitter handle that can’t be traced back to them. So, if anonymity is a must, this is probably not your tool of choice. Twitter audiences are looking for up-to-the minute information, but they are also people who could have busy lives. So, tweet all the details in advance and then tweet the week of the event. Consider registering people so you have an idea of interest. Registration has the added advantage of giving people a sense of commitment, especially if you send out a reminder the day before. But, know your audience. For some audiences registering may be one additional step that chases them away. If you’ve advertised well and picked a topic that matters to your audience, an hour Twitter Town Hall will fly by. So, the more you prepare in advance, the easier it will be to keep up with the questions. That said, sometimes you need to prime the pump to get people started. Have a team of at least three people (preferably in one location) to answer: One to post, one to monitor questions; one to draft answers to questions that you didn’t expect. Consider whether you need a subject matter expert in the room. Prepare questions you think you might get, and Twitter-length answers (140-characters) in advance. Number the prepared answers so you can quickly tell whoever is posting them which item to cut and paste. Remember that the 140-characters include the hyperlinks, so use shortened links (bit.ly, tinyurl.com, etc.) The point is to drive people toward more information (website, article, blog, video, infographics) since you only have so many characters to make your point. Have a list of facts available (key messages) that you can tweet to help to prime the pump, or fill in gaps in between questions. Tweeting short videos and infographics are a great way to get people asking questions. At the beginning of the Town Hall, it is important to establish ground rules, to remind people that this is for general questions, and that they should not be tweeting personal identifiable information. If people ask questions that need a personal answer, be sure to have a phone number or email available for them to contact someone personally. You don’t want to get into someone’s personal business in an open forum like Twitter, even if they tweet their personal circumstances. Consider working with a partner group that has a Twitter following. For our last Twitter Town Hall we partnered with Veteran Service Organizations who advertised, asked questions and retweeted our Q&A. Our tech gurus do a great Storify recap that can stay on our website or be sent out through social media for people to view the Q&A. This gives you a chance to reach out to other audiences with the same information. I was surprised to find little information online about the how-tos of Twitter Town Halls, so please feel free to comment here with your own lessons learned. Melodee Mercer is the Public Affairs Officer for the U.S. Department of Veterans Affairs Insurance Center.